If I gave you one that gave you 15W, I bet you'd secretly try it out. Watt savings would be based on moving speed but we know a place you could see the time difference of the CdA change (and/or power for that matter). Try Time Analysis tab on link below. On another note (sorry off topic) if the new Conti 5000s are really 12% better rolling res that can be some nice time savings as well. Edit: crazy that the thread between pedals and cranks are still universal. Shimano DID try to mess that up a number of years ago. I think the moral of the story is.....ride with a flatter foot, get the top part of your foot out of the wind, get a more aero cleat/peddles, and you save watts. I makes sense that riding with a flat foot would be better, *and* that it doesn't take much downward foot tilt for the entire pedal to be drafting behind the shoe. In that case I can't imagine that the pedal would make much difference. How many people ride with the foot so flat that the pedal is important? it it suggested that the difference in drag between the two riders could be influenced by the difference in angular position of their feet. This is illustrated by two pictures with the pedal in the lower position. However I think the foot position in the upper pedal position is much more relevant, since the relative speed of the foot in the upper position is about 10 km/h at a cadence of 90. So in the upper position the foot has a velocity of 50 km/h instead of 30 in the lower position at a bike speed of 40. Adding that drag increases square in relation to the speed shows that the angular position in the upper position is a lot more relevant than that in the lower position. With a head wind furthermore, the wind farther from the ground should be faster than near the ground. 5.9 kph at 90 rpm cadence and 172.5mm crank arms, not 10 kph. Your point stands, though we are still probably talking negligible stuff here. Correct I made the calculation yesterday in my head in front of the tv but with calculator and paper I get now to 5,835 km/h indeed. I just looked at some videos of myself, and it's definitely the opposite. The angle is greatest at the back and over the top of the stroke (nearly all the part where the foot is moving forward), and lowest at the forward/bottom of the stroke. My foot is never flat. Just sitting here, it takes some effort to make my foot bend up past 90 deg with my lower leg, and even then I can only get it to 80 or so. When pedaling the angle is at least 90 even at the bottom of the stroke, which results in some tilt of the foot relative to horizontal. I have uselessly massive calves and seem to have a limited range of ankle motion. But I don't think my foot angle is odd based on what I've seen. Gives me an idea of something to work on, though! "Ideal" (typical) pedal stroke at 90 rpm on the flat. Thanks for the feedback. I must admit that it was just an allegation of me that the foot is the flattest at the top. 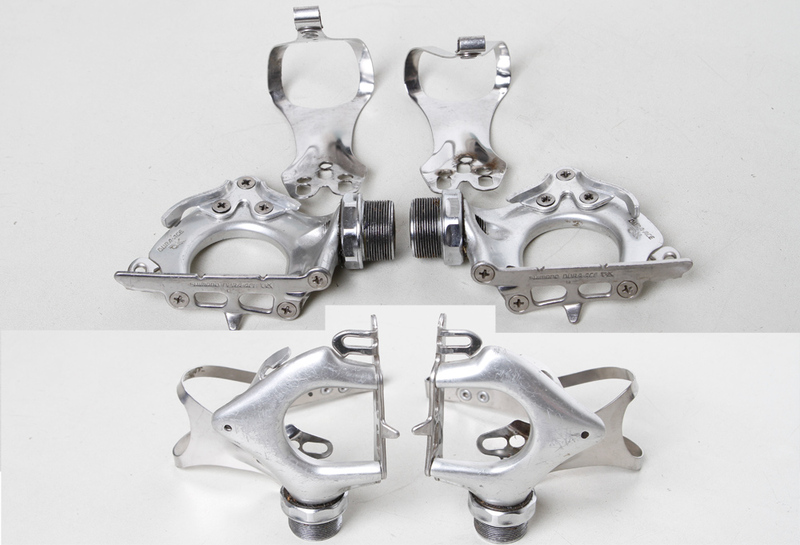 This has gotten me thinking that for TTs, using a strap to keep my foot as high as possible (might as well make it an aero shaped "strap") and mounting the pedal near the heel, could give some CdA and maybe power gains. The bottom graphic is "ideal?" That doesn't look ideal to me. Visually at least, it looks to near-maximize the frontal surface area presented to the wind by essentially elongating the inefficient cylinder-like shape from knee to to cleat. The low heel technique would seem to minimize frontal area, with the surface area of the top of the foot being more "hidden" in terms of frontal area. I'm talking purely about aerodynamic efficiency, not the biomechanical efficiency argument presented by the link (which could be a whole other thread). Edit: I agree the high heel hides the cleat/pedal well. But at what cost? Just mounted (normal, no zero aero) speedplays with zero aero cleats. What were you coming from before Speedplay. The adapter increases stack to from 8.5 to 11.5mm, but 11.5mm is still less stack than most pedal systems. For screws you want a torque driver, not a torque wrench. I measured 15mm between the axis centre and the shoesole, but it is a bit difficult to measure. The distance with my old spd sl system was also about 15mm, but as I mentioned it is not so easy to measure. Biggest annoyance is however is what I wrote the distance between the walkable cleat cover and the shoesole, it looks a bit ridiculous now to have the golfballholes on the cleat cover which does however not touch the shoesole. Speedplay should have provided for special cleat covers for the 3 hole case, to nestle up to the sole. It really does not look like an aerodynamic advantage, if I would have known I would not have bought it. It also does not look as a disadvantage though, so I leave it on for the time being and see how they suit me. There is a another piece called the "aero surround". Pretty much just fills in that gap between shoe/walkable cleat. Comes standard with the aero pedal system, but not with regular systems. You can buy it separate if you have regular speedplay.